This is a higher level management and approval group involved in advisory, support and guiding the management team. The SAB strategizes overall professional direction, project selection, project management and legal support for the company. The members of this group are established professionals and very senior experts known across the country and the globe in the fields of Urban & Regional Planning, GIS Development, General Management, and Project Management. The SAB reviews and steers the Management Team. This board is assisted by the Managing Director of the company. 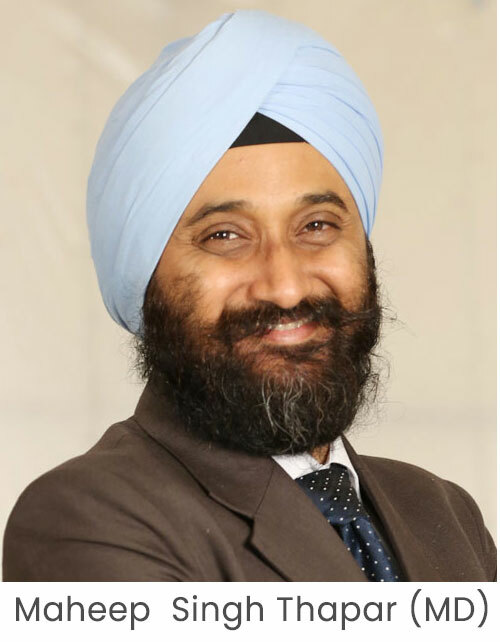 The ‘Management Team’ is headed by Maheep Singh Thapar who is the Managing Director as well as the Principal Consultant. He reports regularly to the Senior Advisory Board. He works closely with the Management Team and experts. Maheep graduated from SPA, Delhi followed by Post Graduation from CEPT, Ahmedabad in Urban Planning, where he was also awarded the Gold Medal for the “Distinguished Student” award. He is passionate about Strategic Planning for Cities, Urban Planning for Better Living, use of technology for improving societies, Metropolitan planning, and governance structures, Maheep has led and successfully delivered numerous urban master planning assignments across the country. Under his guidance ADAPT successfully completed projects like the Master Plans for Hyderabad Core City(MCH), Hyderabad International Airport City (HADA), Hyderabad Outer Ring Road Growth Corridor(ORRGC) and other area development plans. Other projects in the urban sector involved critical inputs for Urban GIS-based Climate Change Study for Hyderabad Metropolitan Region along with Potsdam Institute of Climate Sciences,(PIK) Germany, large Integrated Townships in Hyderabad Urban Land Development/Real Estate Potential for the Hyderabad Metro Rail project. This way Maheep has been involved in providing urban planning inputs for the Hyderabad Metropolitan Region since the last two decades on multiple urban development projects. ADAPT played an important role in providing strategic & Urban Planning support for ‘Large Integrated Townships’ around Hyderabad as future Urban Nodes. ADAPT also specializes in preparing strategic presentations for the Govt of Telangana, Govt of Karnataka and Govt of Andhra Pradesh. ADAPT has developed expertise on sustainable urban solutions by working on Green & Sustainable Cities and Large townships spread across different states of India. Current assignments of ADAPT include capacity building exercises for JICA supported projects in Asia, Revised Master Plan for Bangalore Metropolitan Area, Urban inputs for the Municipal Development Project (Internationally funded) GIS development of 37 towns as part of overall state urbanization strategy, developing GIS-based interface development for urban applications among other works. Maheep is a regularly invited speaker on Urban Planning, Sustainability, Urban Futures for Indian Cities, Disaster Management, Urban Governance, GIS Applications, Urban Quality of Life. He has published numerous articles on urban planning and development issues in various media, and also co-authored a chapter on Managing City Development for Health in India-The Case of Hyderabad in The Routledge Handbook Of Planning For Health And Well-Being.